It dawned on me this morning as I was prepping myself for this article that if I don't start writing more, or covering more topics in one article, Hello Etsy 2014 will be here and I'll be behind. Scary thought! I'm going to do some planning on how else to cover Hello Etsy 2013 so that when next year's event comes, we can review it quickly and I can share thoughts on other topics. With that said, I want to cover Dr. LeeAnne Renninger's, Founder of LifeLabs New York, presentation on "Tools for Sustainable Enthusiasm that Saturday afternoon. After listening to endless economists talk about our unsustainable economy, Dr. LeeAnne Renninger got on stage and told a story about her own path to finding curiosity and how it led to her work and founding of LifeLabs New York. A brief summary of her story: as a child, her parents were building a house and she would have to go to the construction site and help/watch. One day out of frustration and boredom, she took a black marker and wrote on one of the walls, "This is boring," or something like that. She knew that her parents were going to be angry and was anxious about what would happen. The next day, when she went back to the site, she found a message (using her message) from her father that said, "only boring children are boring." This message led her to curiosity, and the idea of sustainable enthusiasm, which was her message for us Etsy sellers, but also our culture. This session was interactive. We were given a handout that we each filled out during breakout points in the hour and a half we had with Dr. Renninger. Her goal was to leave us with a series of exercises we could continue to use to help us when we're stuck, in difficult situations, want/need to capture attention and inspire people (including ourselves) to action. When we weren't thinking about memories and filling out our handout, we discussed what makes entrepreneurship hard and what makes it great. This led us to a tool that I need to remember to use in my every day life - the 20 Questions Technique. It goes something like this - when you are frustrated, stick, annoyed, uncertain, get yourself to curious by asking 20 questions about whatever your thinking about in three minutes. This will help you see things from a different perspective. During the session, the 20 questions technique was about a pen. A partner and I had to ask 20 different questions about the pen. After the three minutes were up, she went around and asked what kinds of questions we had come up with and there were some great ones like, "how many times has this pen been chewed on?" or "where was this pen made?" or "how many different people have used this pen?" I know, you're thinking, um isn't that hard if you're thinking about an ex-customer? But the reality is, it isn't. Think about a customer that is really driving you nutty. When you're trying to figure out how to handle the customer and the situation, if you sit down and ask yourself 20 questions, you might come up with questions like, "is this customer overwhelmed?" or "did this customer have a bad commute to work this morning?" or "did this customer have her cup of coffee or tea before sitting down to discuss this?" When you take time to consider things like this, you have more empathy and can handle the situation in a completely different way than you might, if you didn't sit down to consider otherwise. This technique also leads us to the idea that we're responsible for our own engagement, while increasing resilience, helps our health, and leaves people thinking we're smart. Awesome! Even more importantly though, it leaves to wonderment and surprise. That's where Etsy comes in. Etsy is a delight machine! And no surprise, but surprise and delight are interconnected. It leads to happiness and authentic happiness is different than contentment. A way to think about this is to think about large companies you purchase from: Do they surprise you? Do you leave delighted? When you place an order, or shop in a store, do you feel delighted? 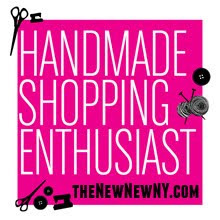 Now think about being an Etsy shopper and answer those questions. How are they different? How are they the same? When I buy from Etsy, one of my favorite things to think about is getting the package. Unlike any other online store that I buy from, I am always excited for an Etsy package. I can't wait to see how the seller wrapped the items, if they added any freebies, if they included a note of thanks. And I always get excited for how I may be inspired by those things, too! That's what makes surprise delightful, it brings you back to the present moment. It is like Christmas morning when you're five years old all over again. As Etsy sellers we can continue to do this. We can continue to fix the broken economy and market place by finding curiosity in ourselves and using that to delight and surprise our customers, fans, and community. Now, in addition to the 20 Question Technique that I mentioned above, Dr. Renninger also discussed progress tracking as a way to build and sustain goals for surprise. Something to keep in mind while progress tracking is that your goals should be SMART - Specific, Measurable, Action Oriented, Realistic, and Time Bound. Don't just track to track. Track for a reason. Track to remain curious and in the moment. Track to find another way. Tracking our progress also refuels enthusiasm. One way to go about this is to write down one thing every day whether good or bad and your mood at the time. This is a great way to notice trends over time. We'll start to notice the small things and how they keep adding up over time and how it adds to our over all happiness. The funny thing about writing this post is that it made me happy to share this session. I didn't do anything more than take my notes and add some flair, and yet, I feel more in the moment than I would have as I slogged myself together to go to work. So yeah, Dr. Renninger's message lives on! I hope you find it inspiring and that if you take her approach to ask 20 questions to find curiosity that you'll share your experience with us below. I would LOVE to hear how your getting/finding curious has led you to a different approach or path.